Spent batteries and accumulators mixed with municipal waste in landfills across the country pose a serious threat to human health and the environment due to toxic acids and heavy metals they contain. Inadequate treated waste batteries and accumulator are poisoning us with lead, mercury, arsenic and cadmium, since these dangerous substances leak into soil and groundwater. Just for illustration – a cadmium rechargeable cell phone battery pollutes 600,000 liters of water. That would mean that 3 such batteries can contaminate an Olympic pool. And did you know that only 1 gram of mercury is enough to contaminate 400 liters of water? Therefore they should not be disposed together with the other municipal waste but handled by strictly established procedure. 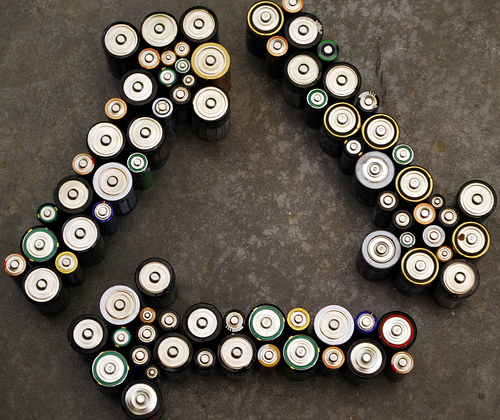 Starting from 29.10.2010, in accordance with EU Directive 2006/66/EC, in the Republic of Macedonia is in force a law on management of waste batteries and accumulators and waste batteries and accumulators, according to which ” It is prohibited to leave or teach waste batteries and accumulators in areas designated for collection and selection of municipal household waste or other waste”. The law applies to batteries (all batteries, battery packs, batteries in the form of a button, car batteries, industrial batteries) or accumilators, regardless of their shape, volume, weight, material that is made or intended for use. Macedonia annually collects over 300 tonnes of waste batteries and accumulators. Field surveys made by members of the “4x4x4 Balkan Bridges”, showed that the average household in Macedonia spend from 0.3 to 0.7 pounds of batteries per year, small and medium-sized companies from 0.6 to 0.9, and the media to 0 , 5 kg. At the end of 2009 in Macedonia had more than 30 million batteries and over 3.5 tons of car batteries that are improperly stored and pollute the environment. Previously mentioned law set minimum rates of collection of portable waste batteries and accumulators – by the end of 2016, to collect a minimum of 25% by weight of batteries and accumulators that are placed on the market in the Republic of Macedonia and a minimum of 45 % by the end of 2020. – Old car battery take it to traders who are permitted to purchase and handling of waste batteries and get a discount on the price of a new battery. – Do not ever throw small batteries in the same place with municipal waste and make them easy way to the landfill also giving them a direct opportunity for contamination of soil and water. – Make sure that your batteries are not affecting the environment with harmful mercury so that you choose batteries with silver oxide or mercury-free lithium-manganese batteries. Choosing products without mercury may reduce the annual use of mercury to 470 kg. – Use rechargeable batteries and save energy (eg multipurpose batteries are ideal environmental alternative to conventional alkaline batteries – with their use dramatically is reduced the number of discarded alkaline batteries). It is important to note that scientists are involved in this fight with dangerous substances and work intensively on reducing the negative impact of batteries on the environment and people. One of their innovations is the so-called Bio-battery that generate electricity using enzymes break carbohydrates in the form of glucose. These batteries apply the innate ability of organisms to get energy from nutrients, which, instead of being used for life activities, are used to create electricity. Representatives of NGOs stressed the need for open discussion for problems and have shown interest in engaging in activities related to waste management. 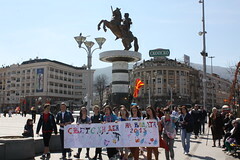 On May 30, 2011 in the premises of the Economic Chamber of Macedonia, the second public debate on draft law on management of electrical and electronic equipment and waste from electrical and electronic equipment was held. This event was organized by the Metamorphosis Foundation and the Ministry of Environment and Physical Planning. Elena Ignatova (Metamorphosis) and Lence Kjurcieva (Ministry of Environment and Physical Planning) presented the draft law. Public debates are part of the National Democratic Institute’s (NDI) project “Strengthening of citizen participation in the legislative process” and aims to advocate for the adoption of the law for dealing with electronic and electrical waste, and all activities are in compliance with the current project which Metamorphosis runs – “Balkan E-Waste Management Advocacy Network “. Association for Green Society – Greener is a member of the National e-waste management advocacy network. All information related to the current project and issues associated with e-waste could be found on page http://www.bewman.eu/.